We are Regency Wines Ltd., a regional wine and spirit wholesaler, registered company no. 4739920. 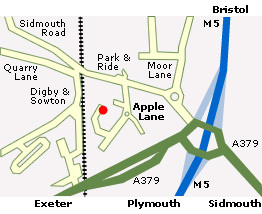 Our registered office address is at 20 Apple Lane, Sowton Industrial Estate, Exeter EX2 5GL. You can contact us in writing at the address given above or by emailing april@regencywines.co.uk If you would like to speak to us please call us on 01392 444123 please ask for April Marks. • personal data that you provide to us. There are lots of ways in which you may share your personal data with us, for example, contact us in connection with goods or services that you would like to buy, or have already bought, from us. The personal data that you provide to us may include your name, address, e-mail address and phone number, financial credit card information. • personal data that we receive from third parties. If we work with other businesses or use sub-contractors these parties may collect personal data about you which they will share with us. For example, we may have your name and contact details passed to us by a wine maker or distiller that refers you to us so that we can provide you with our goods or services. • personal data about your use of our website. This is technical information and includes details such as your IP address, browser type and version, time zone setting, browser plug-in types and versions, operating system and platform, as well as details of how you navigated to our website and where you went when you left, what pages or products you viewed or searched for, page response times, download errors, length of visits to certain pages, and page interaction information (such as scrolling, clicks, and mouse-overs). You have a legal right to know what personal data we hold about you - this is called the right of subject access. You can exercise this right by sending us a written request at any time. Please mark your letter “Subject Access Request” and send it to us by post or email using the details in the Who we are and how you can contact us section. • Wine Makers and Distillers who have a legitimate interest in the sales of their products. You can ask us to only send you marketing communications by particular methods (for example, you may be happy to receive emails from us but not telephone calls), about specific subjects, or you may ask us not to send you any marketing communications at all. The easiest way to check for updates is by looking for the latest version of this policy on our website www.regencywines.co.uk or you can contact us; 01392 444123 (April Marks, Director of Regency Wines Ltd.) to ask us to send you the latest version of our policy. This is policy version 0001 which came into effect on 21/05/18.